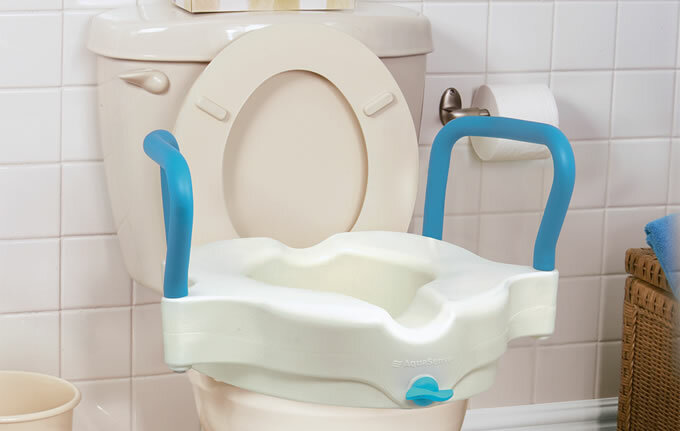 Makes it easier to get on and off the toilet by adapting to the user’s specific needs. 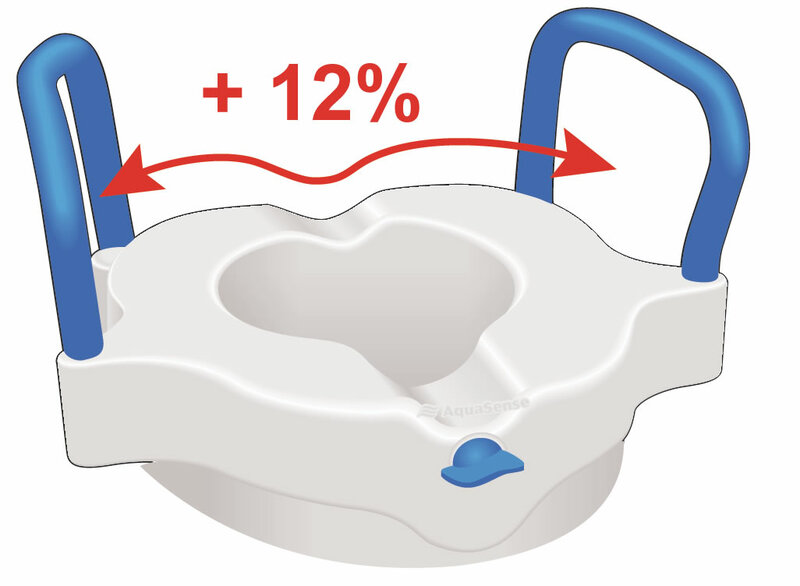 Our most popular raised toilet seat is now even better! Based on feedback and research, we’ve redesigned our 3-in-1, giving it a body-contoured shape with an improved perinea scoop. We’ve also increased the width of the seat opening by 12%, and widened the space between the armrests. Whether you’re post-surgery or providing your family members with independence in the washroom, this raised toilet seat will provide added support for getting safely on and off one’s toilet. Use without handles for maximum space and easy access. Use one handle for easy lateral access and a secure grip. Use both handles for more security and support getting up and down. 3 easy-to-assemble configurations for maximum versatility. Allows the user to position the armrests in order to adapt the product to his / her preference and to the different stages of recovery. New body-contoured seat with improved perinea scoop. Attaches securely to most standard and elongated toilets for superior flexibility. Raises toilet seat height 4" (10 cm) for better access and security. 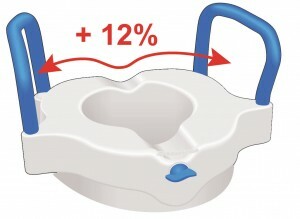 12% larger seat opening of 24.5 cm by 23.5 cm (10” by 9.5”) for optimal fluid flow and less clean up. Easy-to-clean polyethylene for fuss-free clean ups. Corrosion resistant for increased durability. 300 lbs weight capacity for greater stability. 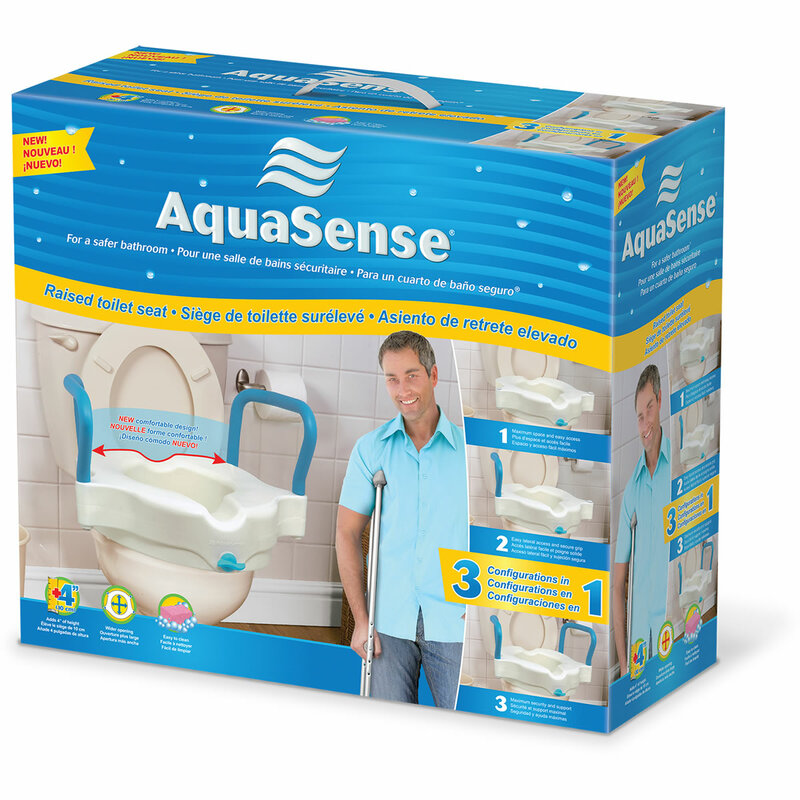 This one minute video shows how to assemble the 770-618 AquaSense® 3-in-1 Raised Toilet Seat. This two minute video shows how to assemble the 770-618 AquaSense® 3-in-1 Raised Toilet Seat. It also shows how to get on and off safely of one’s toilet when you are using the 3-in-1 Raised Toilet Seat.